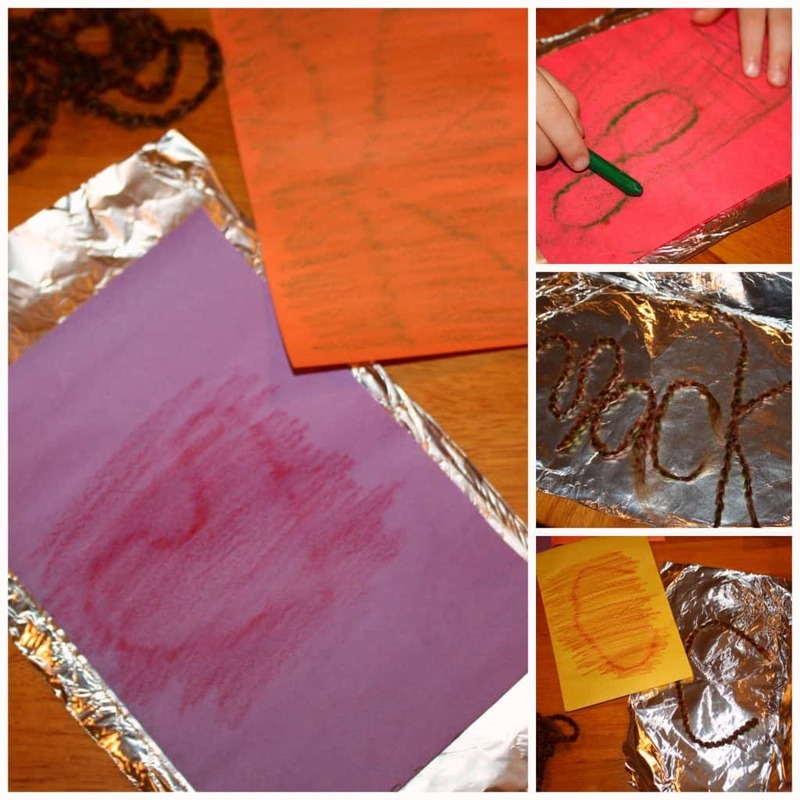 By sandwiching yarn in some aluminum foil, kids can create a rubbing template to create artwork! This yarn rubbing process encourages imagination, trial and error, and some fine motor work. As with all process art, this projects really focuses much more on the process of creating the art, rather than the finished product itself. Lay a piece of foil flat on the table. On one half of the foil, create any design with the yarn or string. Fold the foil in half, carefully sandwiching the yarn. Press down firmly, and trace the yard with your fingertips, pressing the foil down well around the yarn to create an imprint. 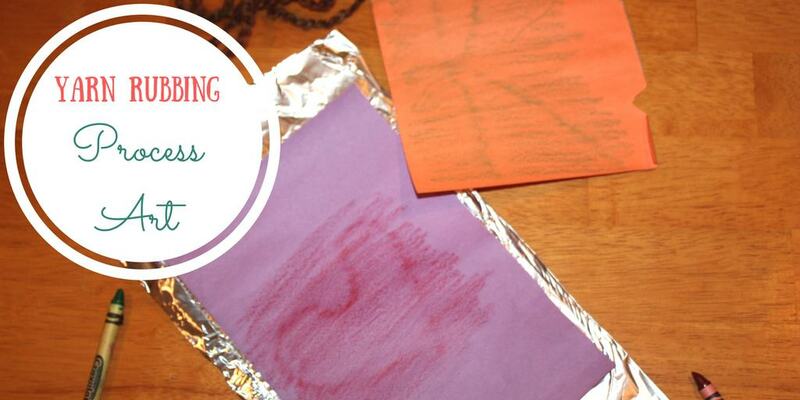 Place the paper on top of the foil and rub a crayon (paper removed) on its side over the paper. Watch and observe as your yarn print comes through the paper. Get creative with this one! My son (5) had a ton of fun working on letters and numbers, and even writing and printing his name with this! 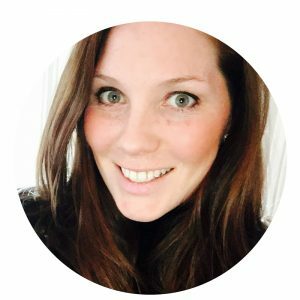 There are many ways to use some imagination and get kids thinking. This post is part of a monthly process art challenge with some other awesome bloggers, check out how they are using yarn this month! Pin this to save these projects for later!